Mon. Jan 7, 1884 Went to party at C. V. Clark's. About 58 present. 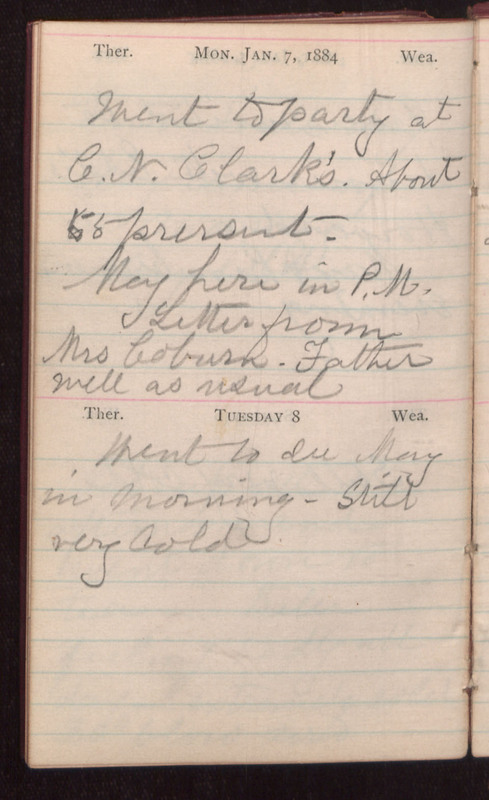 May here in P. M. Letter from Mrs Coburn. Father well as usual Tuesday 8 Went to see May in morning - Still very cold.